WHEREVER THE BISHOP SHALL APPEAR, THERE LET THE MULTITUDE OF THE PEOPLE ALSO BE; EVEN AS WHEREVER JESUS CHRIST IS, THERE IS THE CATHOLIC CHURCH. Far from being limited to just Chico, California, or even the United States, the Catholic Church is truly Universal ( katholikos in the original Greek) reaching across cultural, international, and racial borders. On this page you will find links to local, statewide, national, and international Catholic sites, business, and organizations. Notre Dame School is a Transitional Kindergarten through Eighth Grade coeducational Catholic school located in the heart of Chico, California. Notre Dame is known to be a place where children – and their parents – feel welcome and included. It’s a school that promotes high academic standards and Catholic values. Mercy High seeks to form students in the Catholic tradition through the pursuit of academic excellence, spiritual growth, personal integrity, and service to others. 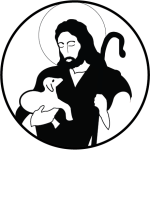 As a ministry of the Diocese of Sacramento, the mission of the Newman Catholic Center is to encourage young adult college students to seek a deeper relationship with Jesus Christ and to embrace an active, adult faith through formation grounded in the Catholic tradition. We offer weekly liturgies, spiritual direction, small faith sharing groups, annual retreats and service opportunities. The Abbey at New Clairveux is a community of Cistercian Catholic monks guided by ancient monastic tradition ardently seeking God today by prayer, simplicity, hospitality & labor. Visitors may join the community for Mass, recitation of divine office, or simply enjoy the peace found on the grounds of the community. In addition visitors may seek spiritual direction, retreat, or visit the wine tasting room and sample the fruits of the monks labor. The Roman Catholic Diocese of Sacramento, under Bishop Jaime Soto and his Auxiliary Myron Cotta serve the Northern part of California from Sacramento to the Oregon Border.